On a June afternoon in 2015, while brainstorming ideas for my next book, my agent mentioned the Cottingley fairies. Little did she know that I was already fascinated by the story, having grown up in Yorkshire, not too far from Cottingley itself. Who couldn’t be enchanted by the story of the two girls who claimed to see fairies at the bottom of the garden, and whose photographs caught the imagination of Sir Arthur Conan Doyle, and a nation grieving in the aftermath of the Great War. Shortly after starting my research into the events in Yorkshire in 1917 and the early 1920s, I stumbled across a book written by Frances Griffiths, one of the girls who took the photographs. I sent an email requesting a copy of the book, not realizing that I was contacting Frances’s daughter, Christine Lynch. It was an unbelievable coincidence. When I first met Christine in Belfast in September 2015, she told me about the book her mother had always wanted to write, to set the record straight about the photographs. Getting to know Christine, I felt a wonderful sense of connection to the young Frances in the famous fairy photographs. The idea of family secrets and treasured mementos intrigues me, and I wanted to explore how the iconic Cottingley fairy photographs might have affected other residents in Cottingley at the time, and might still be part of a family’s secrets in the present day. This led to me setting part of the story in a bookshop in present-day Ireland, and allowed me to bring together both of my ‘homes’: Yorkshire, where I grew up, and Ireland where I now live with my family. Writing Frances’s story was an amazing experience. Her photograph sat beside me on my desk for two years, her enigmatic smile making sure I did her story justice. When I visited the Cottingley collection at Leeds University, I was amazed by the volume of correspondence about the photographs, and how quickly the story spread following the publication of Arthur Conan Doyle’s Strand Magazine articles. The story took on a life of its own until it must have become impossible for the girls to even think about telling the truth. But amid all the fuss surrounding the faked fairy photographs, Frances maintained that she really had seen things at the beck, and her belief in that never wavered. 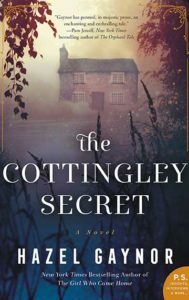 There is still hope among Frances’s family that the fifth Cottingley image will be analyzed with modern technology to determine once and for all what it shows. 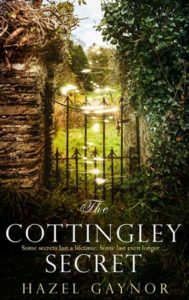 Like the very best fairy tales, the story of the Cottingley fairies endures and changes a little in each retelling. With 2017 marking the centenary of the first two photographs, I am sure a new generation will now discover these iconic images for the first time, and I hope that in writing The Cottingley Secret, I have contributed my own piece of history to this particular fairytale.